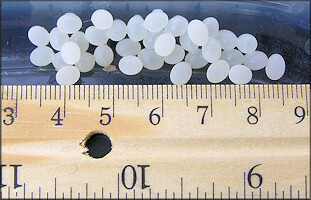 The 48.8 mm. 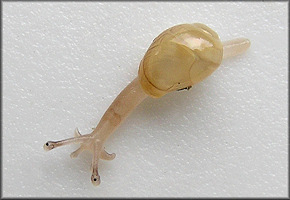 specimen pictured below was collected in a wooded area of southern Jacksonville, Duval County, Florida on 4/7/2011 and kept in a terrarium in solitary confinement. 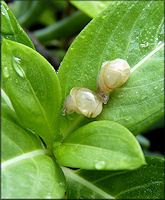 On 5/20/2011, some six weeks later, the specimen began depositing eggs. 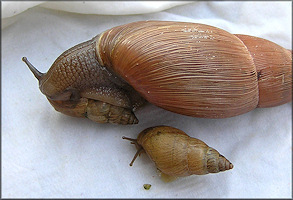 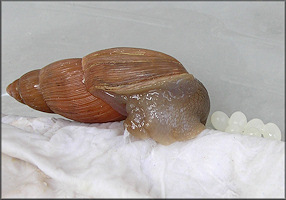 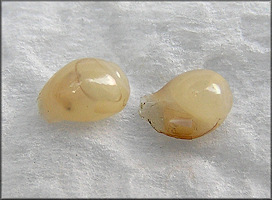 The egg laying process, during which the snail remained virtually motionless, took approximately 24 hours and ultimately 35 calcareous eggs were deposited.